DOZENS OF TDS and Senators will take to the catwalk for a charity fashion show this November. The event, which is being organised by Arts Minister Jimmy Deenihan , will also include professional models and sporting celebrities. 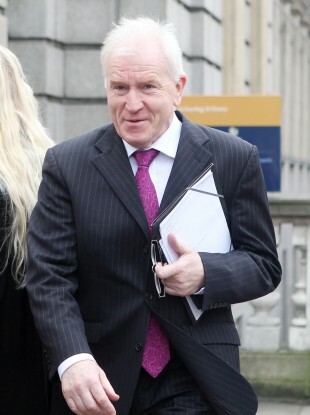 A total of 23 male and female members of the Dáil and Seanad will strut their stuff in the Shelbourne Hotel – but their names are strictly being kept under wraps until closer to the event, a spokesperson for Deenihan’s Department told TheJournal.ie. Deputy Nicky McFadden, who was diagnosed with motor neurone disease earlier this year, is to co-produce the show alongside stylist Marietta Doran in aid of the Motor Neurone Association of Ireland, Action Prostate Cancer and Brother Kevin’s Capuchin Day Centre. Tickets for the show are available from the Shelbourne at a cost €60. Email “Charity fashion event to see 23 TDs and Senators strut their stuff on the catwalk”. Feedback on “Charity fashion event to see 23 TDs and Senators strut their stuff on the catwalk”.